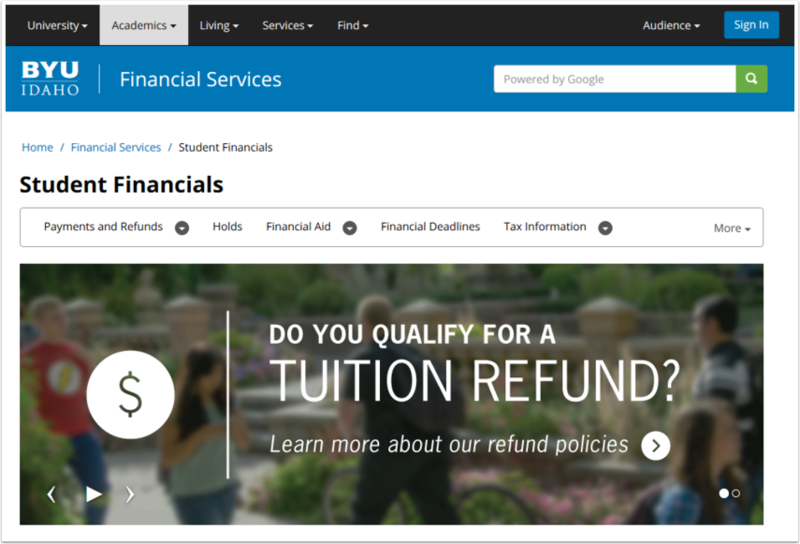 BYUI Help Guides Level 1 KB AccountingHow can I get my 1098-T Form? 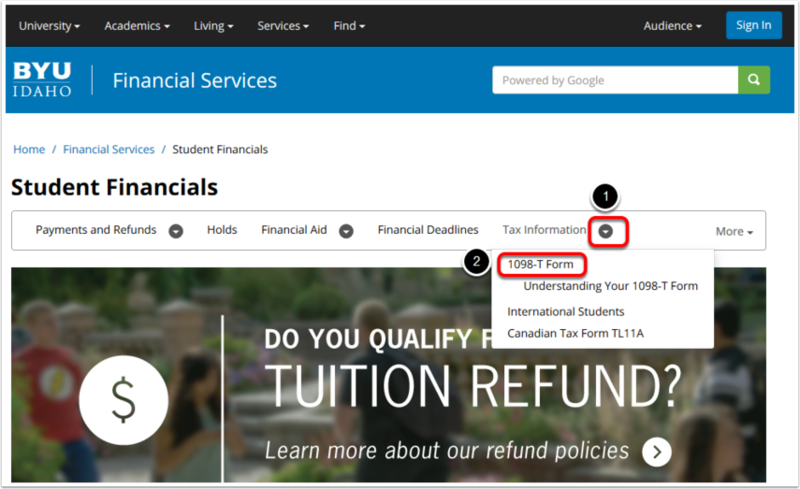 If you need a 1098-T from a previous year, select the year in this drop-down menu. You have access here to forms from the last 3 years. If you need a form from a previous date, go back to the previous page and click on the blue button which says, 'Request and Unavailble 1098-T'. 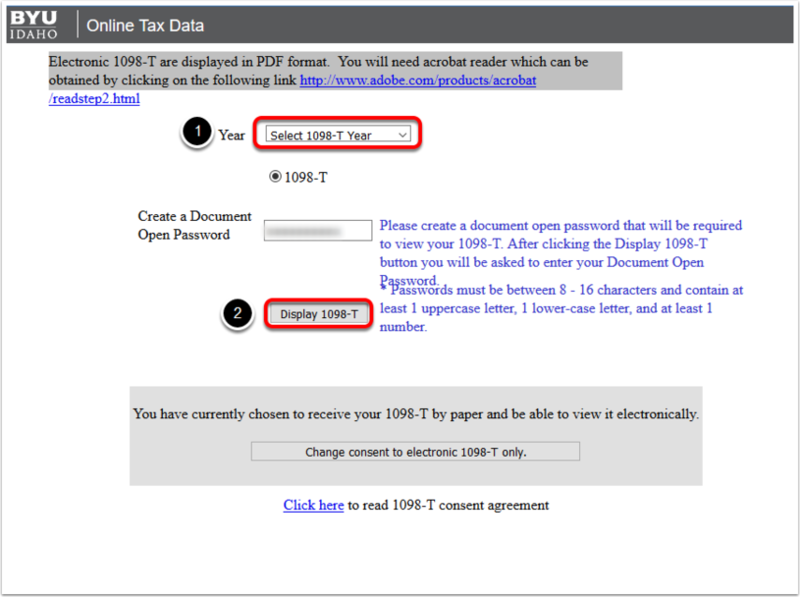 Follow the instructions to view a pdf of your 1098-T Then click on the button which says 'Display 1098-T. 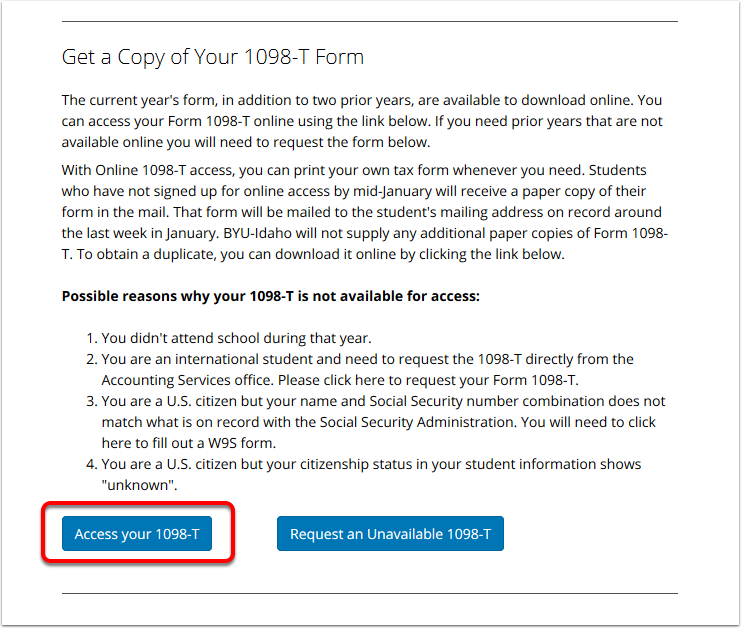 If you received a message saying that your 1098-T was unavailble, go back to the previous page and click on the blue button which says, 'Request and Unavailble 1098-T'. Prev: How do I enroll in eRefund? Next: How can I reqest a TL11A (Canadian Tax Form)?